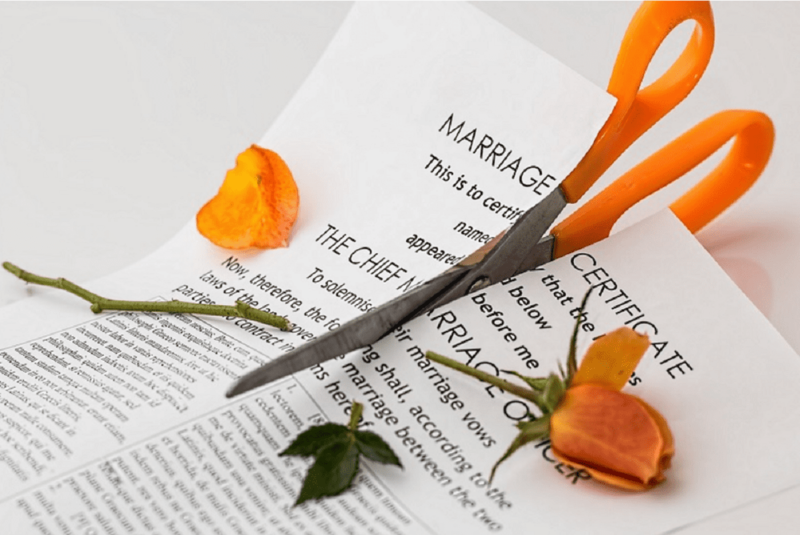 How Are Assets and Debt Divided in Divorce? Before marital property is divided as part of a divorce, in the absence of a prenuptial agreement, the assets must be classified as either community property, which belongs to both spouses, or the separate property of one spouse. With some important exceptions, all property acquired after marriage and before separation, other than property acquired by gift or inheritance, is considered marital community property, along with any interest or other profits arising from such property. All other property is considered separate property or non-marital assets. Once assets and debts, such as bank accounts and real estate, have been classified as community property in a divorce case, the court has authority to divide them between the spouses. The general rule in dividing property is that the court must divide community property in an equitable manner, but there are a few exceptions. The most common exception is that the parties may agree to divide community property in any way they choose, even if the ultimate outcome is unequal. However, the agreement must generally be made in writing, usually with the help of a divorce attorney. There are exceptions to the equitable division rule for particular items of property, such as education loans, certain awards or liabilities arising out of lawsuits, and estates which have negative value. Likewise, exceptions to the equal-division rule may exist where there is a history of domestic violence between the parties, or where one party cannot be located and the parties’ matrimonial assets are not substantial. As long as the resulting property division is equal, the court may choose how to divide community property. Under an in-kind division, each party is awarded a portion (usually half) of a particular asset or debt. Under the asset distribution method (or “cash out” method), the court assigns one or more asset or debt to one party and one or more asset or debt to the other party. Alternatively, the court may order an asset sold and the proceeds divided (usually equally) between the parties. In the case of a marriage where the asset is a family residence, the court may sometimes defer the sale of the home in order to minimize the adverse effects of the dissolution on the children. For help formulating your plan for the division of property, please contact an experienced Family Law attorney at Bremer Whyte Brown & O’Meara LLP.